A beautiful sunset to finish off a nice relaxing weekend, today was especially good, I worked on a couple of paintings and relaxed in the sun with a book. This was shot from down in the valley. 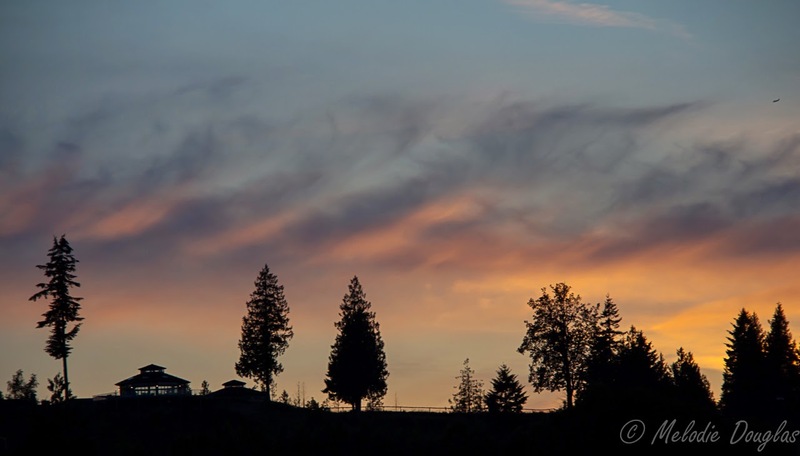 I liked the silhouette of the house and the tall trees against the backdrop of the sunset. I would happily sit up there and watch the sun set every night.